Don´t miss out on a place! This quote from Rafa Nadal symbolises the DNA of the Rafa Nadal Academy by Movistar which, thanks to a demanding tennis training programme and an American academic system, coaches the young players in the values, virtues and aptitudes of Rafa himself. If you want to improve your tennis and continue your studies, this is your Academy! 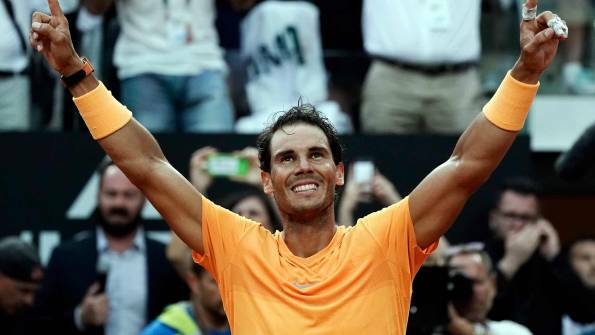 The Rafa Nadal Academy by Movistar has designed an annual training methodology based on the enriching experience acquired through years of success on the professional tour. The prestigious team of coaches, headed by Toni Nadal himself, is responsible for training young players and preparing them for the tennis of the future. Would you like to form part of that future? Come and enjoy our facilities! 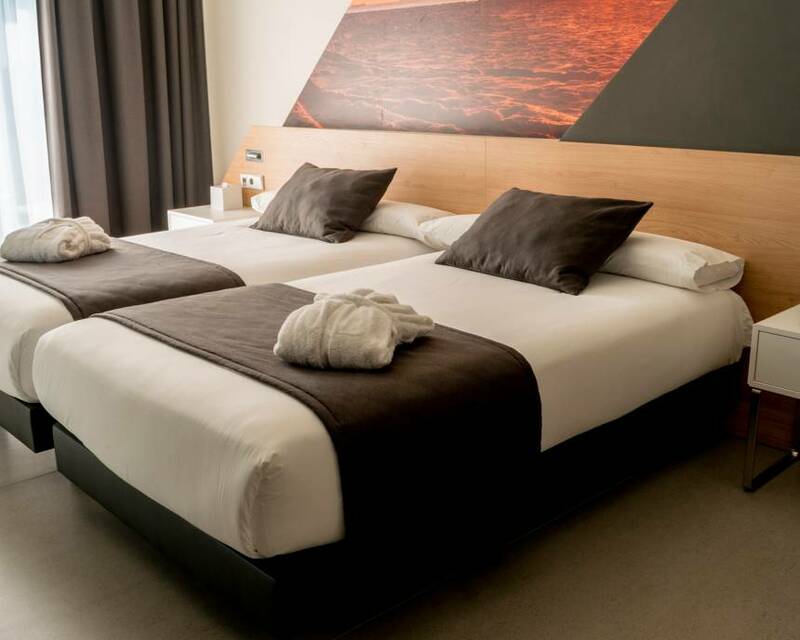 As well as having the modern and comfortable residency at the Rafa Nadal Academy by Movistar for junior players, the complex boasts a tourist sports centre with ideal accommodation. On an emotional and unforgettable day, Rafa Nadal and Abel Matutes Prats, CEO of the Palladium Hotel Group officially opened the world’s first “Rafa Nadal Tennis Centre” in Costa Mujeres. 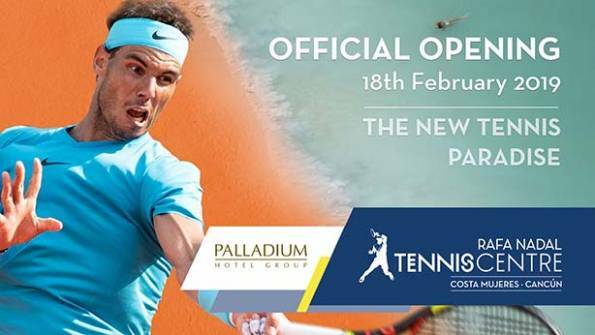 As the culmination of an exciting project, the Rafa Nadal Tennis Centre had its glad rags on today for an inauguration event that nobody wanted to miss and which was attended by Rafa Nadal himself and Abel Matutes Prats, CEO of the Palladium Hotel Group. When he arrived at the facilities, Rafa visited the sports complex and the 8 tennis courts (4 outdoor and 4 indoor), the 7.-a.-side football pitch, the padel court, the official store and the cafeteria. He later visited the new Museum, which houses cups from the 4 Grand Slams, brought in from the Rafa Nadal Museum Xperience in Manacor, and objects donated by some of the best athletes in the world. In the afternoon the two of them spoke to over a hundred journalists from around the world. “This is the first tennis complex we have opened outside of the ‘Rafa Nadal Academy by Movistar’ in Mallorca and I’m truly excited to be able to do so at a complex as incredible and innovative as this. We will try to do everything possible to make this place one that others aspire to. I believe that the Rafa Nadal Tennis Centre will be the ideal place for fans of this sport to combine their holidays with short tennis programmes and I’m certain it will be a success. I do not believe there is another resort in the world that has a sports centre like the one now at Grand Palladium in Costa Mujeres”. Later, Rafa Nadal and Abel Matutes carried out the official opening ceremony by cutting a ribbon and unveiling a logo, which bore witness the first rally, provided by Rafa and Abel amid plenty of laughter. Following this, Rafa, Carlos Moyá (Technical Director of the Rafa Nadal Academy by Movistar) and the Rafa Nadal Tennis Centre coaches put on a clinic. As many as 98 people had the chance to share the court with the 17-time Grand Slam champion. Another important part of the event was the announcement that KIA Motors Mexico will be one of the main sponsors of the Rafa Nadal Tennis Centre. To finish the day, Rafa attended the evening inauguration of the TRS Coral Hotel and Grand Palladium Costa Mujeres Resort & Spa, the facilities that house the Rafa Nadal Tennis Centre. What is the Rafa Nadal Tennis Centre? The Rafa Nadal Tennis Centre is a new line of sports centres inspired by the training methodology used at the Rafa Nadal Academy by Movistar in Manacor. The privileged natural surroundings of Costa Mujeres provide great added value for any travellers and tennis fans who are looking for holidays in paradise while improving their technique, enjoying an innovative and luxurious resort with facilities and features designed for disconnecting from daily life and discovering an unexplored tourist destination in Mexico. For this reason, the Rafa Nadal Tennis Centre has already been called “The New Tennis Paradise” by fans. 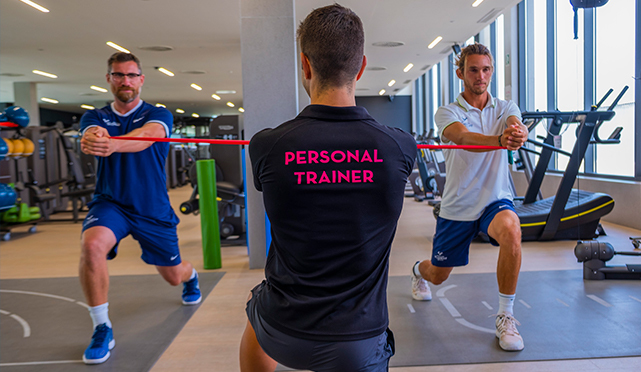 The Rafa Nadal Tennis Centre offers an extensive selection of coaching and training programs, with variations suitable for adults, teenagers and children, and different lengths, including private classes, a three-day tennis workshop and a one-week campus, among other options. The Palladium Hotel Group is a Spanish hotel chain that was established over 40 years ago. The group has 48 hotels and more than 14,000 rooms in six countries: Spain, Mexico, the Dominican Republic, Jamaica, Sicily (Italy) and Brazil, and operates nine of its own brands: TRS Hotels, Grand Palladium Hotels & Resorts, Palladium Hotels, Palladium Boutique Hotels, Fiesta Hotels & Resorts, Ushuaïa Unexpected Hotels, BLESS Collection Hotels, Ayre Hoteles and Only YOU Hotels, and the brand Hard Rock Hotels under licence with two hotels in Ibiza and Tenerife. Palladium Hotel Group hotels are characterised by their philosophy of offering the customer a high standard of quality both in its products and its services. On Monday 18 February, Rafa Nadal will be in Costa Mujeres (Mexico) for the official inauguration of the world’s first Rafa Nadal Tennis Centre. Alongside Abel Matutes Prats, CEO of Palladium Hotel Group, and Carlos Moyá, Technical Director of the Rafa Nadal Academy by Movistar, Rafa Nadal will also participate in the opening of the TRS Coral Hotel and Grand Palladium Costa Mujeres Resort & Spa, the hotels where Rafa Nadal Tennis Centre is located. The Rafa Nadal Tennis Centre, which opened its doors in Costa Mujeres (to the north of Cancun) last December, has already brought together hundreds of players who have enjoyed its 8 clay tennis courts thanks to the tennis programs taught by the coaches from the Rafa Nadal Academy by Movistar. Rafa Nadal will be responsible for officially opening the sports complex with a clinic that he will give with the RNTC coaching staff. Beforehand he will tour the other facilities, visiting the 7-a-side football pitch, the padel court, the shop with sports products and the bar-café. 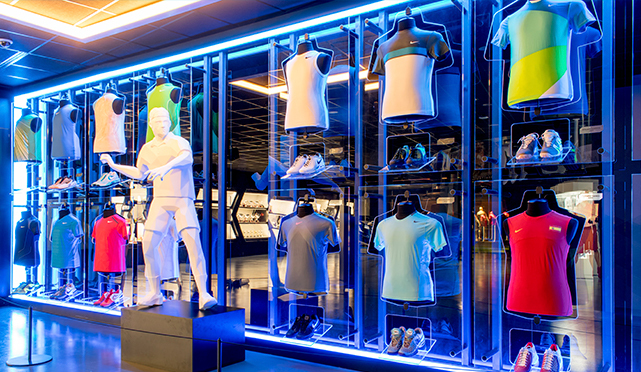 The Rafa Nadal Museum Xperience will also be opened. The museum includes mementos from some of the best moments of his sporting career, as well as objects donated by some of today’s greatest athletes and a range of leisure activities in the form of various simulators, interactive games and several virtual reality sports games. The Rafa Nadal Tennis Centre is a new line of sports centres inspired by the training method used at the Rafa Nadal Academy by Movistar in Manacor. The privileged natural surroundings of Costa Mujeres provide great added value for holidaymakers and tennis fans who are looking for a break in paradise while also improving their technique and enjoying an innovative, luxury resort with facilities and features to help them disconnect from day-to-day life and discover an unexplored tourist destination in Mexico. This also represents a unique opportunity for local residents as the Rafa Nadal Tennis Centre will offer an extensive selection of coaching and training programs, with variations suitable for adults, teenagers and children, and different lengths, including private classes, a three-day tennis workshop and a one-week campus, among other options. Palladium Hotel Group is a Spanish hotel chain with over forty years of experience. The chain has 48 hotels and close to 14,000 rooms in six countries: Spain, Mexico, Dominican Republic, Jamaica, Sicily (Italy) and Brazil and operates 8 brands: The Royal Suites Hotels, Grand Palladium Hotels & Resorts, Palladium Hotels, Palladium Boutique Hotels, Fiesta Hotels & Resorts, Ushuaïa Unexpected Hotels, Ayre Hoteles, Only You Hotels, as well as licensed brand Hard Rock Hotels. The Palladium Hotel Group hotels are characterized by their philosophy of offering customers a high standard of quality in its products and services and excellent value. The season has come to a close on an ATP Tour that produced plenty of feats and records, and in which as many as 13 players claimed their first titles. It's not easy to achieve so much with so little. That's the lesson we can learn from a season that saw Rafael Nadal at the top of the ATP ranking for 36 weeks in 2018, a year in which Roger Federer and Novak Djokovic also occupied the number one spot. In fact, the Spaniard only played in nine tournaments in the whole season, from which he gained enough points to finish as the world number two, the player with the most titles and a long list of new records, including surpassing 900 career victories. An untimely injury in the quarters of the Australian Open against Marin Cilic on his return to competition did not stop him from achieving plenty of success. The first came upon his return to the tour in Monte Carlo. There he lifted his eleventh crown, a feat he repeated in Barcelona and also at the French Open, making him the first player in history to not only win the same tournament eleven times, but also to do it at three different venues. He also racked up two ATP Masters 1000 in Rome and Toronto to become the player with the most titles in the category, with 33, ahead of Djokovic (32) and Federer (27). Nadal's five crowns were followed by four for Djokovic, Federer and Alexander Zverev. The German became the youngest Nitto ATP Finals champion since 2008 and proved that he is one of the young guns destined to take the baton from the Big 3, who today continue to dominate the ATP Tour. The Swiss, with eight weeks as the No. 1, and the Serb with the same haul, took turns at the peak of the rankings with Nadal, although it would be Djokovic who would finish looking down on the rest, the fifth time he has done so, leaving him one behind Pete Sampras' record (6). However, 2018 will not only be remembered for Nadal's incredible records at Roland Garros, the Australian Open also bore witness to a big milestone. Federer claimed his 20th Grand Slam crown there, putting him three ahead of the Spaniard (17) who follows him in second position. Also, at 36 years and 173 days old, the Basel native became the third man in the Open Era to win four or more Grand Slams in his thirties, after Rod Laver (4) and Ken Rosewall (4). For his part, Djokovic took care of the final two Grand Slams of the year, Wimbledon after a frenetic semi-final against Nadal, where he won the fifth set 10-8, and the US Open, which he dominated to gain his 14th title in the category, equalling Sampras in third place of the all-time ranking. Argentinian player Juan Martín del Potro was back in the mix in a Grand Slam in New York and reached his highest ever ranking at number 3 in the world. However, it was the USA who finished with the most representatives in the Top 100 of the ATP Ranking. Headed by John Isner, the remaining US players in the world elite were Steve Johnson, Frances Tiafoe, Taylor Fritz, Sam Querrey, Tennys Sandgren, Ryan Harrison, Denis Kudla, Bradley Klahn, Mackenzie McDonald and Reilly Opelka. Spain lie in second position with ten players, while France have a total of nine. Finally, this season saw nine new faces on the international winners list. A total of 13 players claimed a first trophy for their cabinet in 2018: Daniil Medvedev (Sidney), Mirza Basic (Sofia), Roberto Carballés (Quito), Frances Tiafoe (Delray Beach), Marco Cecchinato (Budapest), Taro Daniel (Istanbul), Marton Fucsovics (Geneva), Mischa Zverev (Eastbourne), Matteo Berrettini (Gstaad) and Nikoloz Basilashvili (Hamburg), Yoshihito Nishioka (Shenzhen), Kyle Edmund (Antwerp) and Stefanos Tsitsipas (Stockholm). The 20-year-old Greek player also became the youngest champion of the season. He won the Next Gen ATP Finals, the tournament held in Milan for the best under-21 players on tour, which also included Jaume Munar, a player from the Rafa Nadal Academy by Movistar. The result means that Tsitsipas leads the next generation at number 15 in the world. He is accompanied in the world's top 30 by Denis Shapovalov (19 years old) and Alex de Minaur (19 years old). All of these stats made for another historic year in 2018. 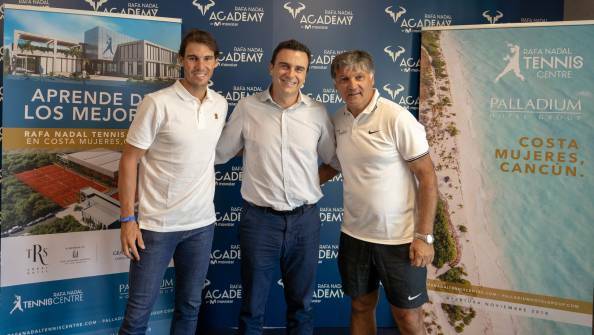 To mark the second anniversary of its official inauguration, the Rafa Nadal Academy by Movistar has announced its consolidation, growth and future plans. Rafa Nadal made sure he was present at an event he spoke very positively about. “There is still a lot to do and work on but we are very happy with how things have gone in these last two years. We have managed to form a good team, we never stop working, and this is our mentality. Looking for things that make us be better, or at least this has been my daily goal in my tennis life and in the academy, we try doing it as well”, Rafa said.